This 15th August India celebrates 70 years of independence . 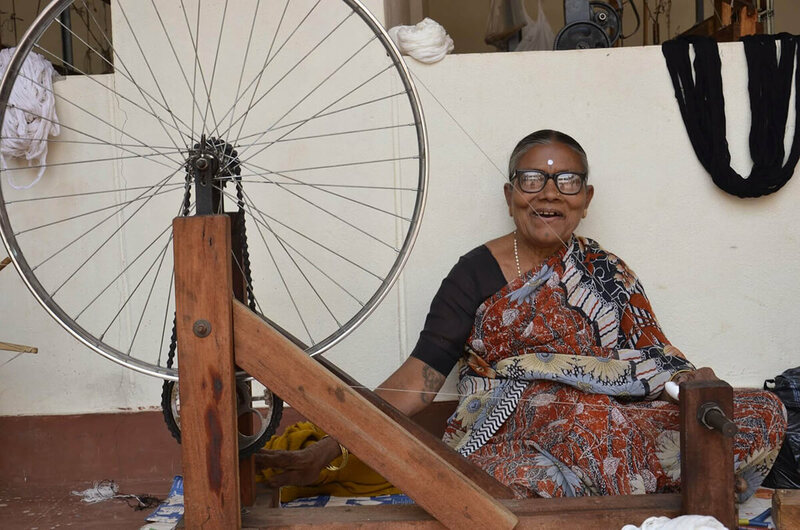 Even today, the Gandhian philosophy of Swaraj or autonomy lives on in the KHADI hand spun textiles still being made by our artisan partners across India, providing employment and autonomy to women. After all this time, we are reminded that freedom is still not a universal right, the fight continues in the form of poverty and lack of economic opportunity. To have the right to live your life and pursue happiness. To have your and your family’s basic needs taken care of. To have the right to choose among opportunities. This is what we are about at Sonica Sarna Design. Our aim is for artisan communities to have a choice and a better life. And for brands to have choices available to make ethical business decisions. If you are a brand that wants to make a difference or simply want to learn more, reach us at info@sonicasarna.com .